My first encounter with the rest of Cassiber was in late 1977 through Heiner Goebbels' Sogenanntes Linksradikales Blaseorkestra. Then, in 1978 Stormy Six met the Goebbels/Harth duo at the FMP festival in Berlin and were so impressed they proposed them for RIO inclusion. A few years later, when I was compiling the Recommended Records Sampler, I finally contacted Heiner, and asked him for a contribution. He sent me 'Berlin Kudamm', a fine music/documentary/drama piece; I remember mentioning in my letter back that I wasn't such a drum machine fan and that if he ever wanted me to hit things just to pick up the telephone. Soon after, he called, proposing a record project with Alfred, Christoph and himself at Etienne Conod's Sunrise Studio in Switzerland. We met there with the idea to improvise 'completed pieces'. In other words, not to 'improvise' in the familiar, abstract, 'Free Jazz'/Darmstadt' mode, but rather to attempt spontaneously to produce already structured and arranged material. The double LP Man or Monkey was the result. And that could very well have been the end of it, except that the LP was so well received in Germany it led almost immediately to an invitation to perform at the 1982 Frankfurt Jazz Festival. We considered how to approach this, and decided in part to invent new pieces in real time, as we had in the studio, and in part to 'remember' and reproduce some of the pieces from the LP, without learning or rehearsing them. This became our general approach to concerts for the next three years, until Alfred left in 1986. After that we continued as a trio, but took a more planned approach to both recording and concerts. In the final year, we invited occasional guests (including Hannes Bauer and Dietmar Diesner) to join us for individual concerts. The Frankfurt festival, then, was the prelude to a 10 year performing relationship that saw Cassiber touring across three continents, appearing at more or less every major festival in Europe and releasing another three LP's, before finally bowing out in 1992. Six years later, a concert recorded in Tokyo in 1992, featuring guest saxophonist Shinoda Masami appeared as half of a double CD documenting simultaneously, Mr.Shimoda's last performance (he died, much too young, very shortly after we left Japan), the end of Cassiber (it turned out to be our penultimate performance as a group) and the valedictory project of Ground Zero (the rest of the double CD set comprises contemporary re-workings of the concert material by Otomo Yoshihide, who as a young musician had been in the audience for the original shows). Although the group never formally decided to disband, after the release of our fourth LP, A Face we all Know, invitations more or less dried up and we allowed the group to disappear gracefully. Our last concert was at the Gulbenkian Foundation in Lisbon, 13 December 1992. Cassiber took its name from a slang Slavonic word meaning a note or message smuggled out of prison. Like 'The Beatles', we spelled it differently and it wasn't intended to 'mean' anything. Duck & Cover, Berlin. Tom Cora, CC, Dagmar Krause, George Lewis. 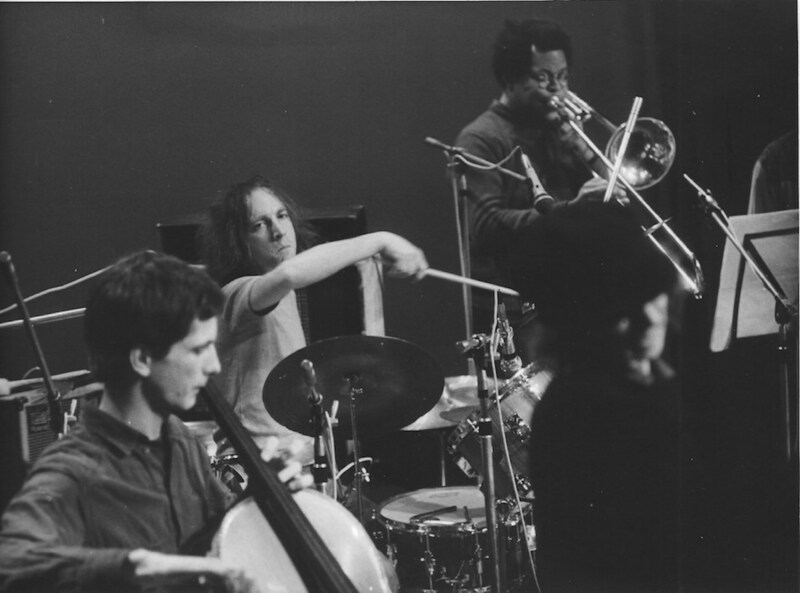 A commission from the Berlin Jazz Festival led to the formation of Duck and Cover in 1983, consisting of Heiner, Alfred and myself from Cassiber, Fred Frith and Tom Cora from Skeleton Crew, Dagmar Krause and George Lewis. The programme began with many explosions and ended with a decomposition of the Brecht/Eisler song 'Und Ich Werde Nicht Mehr Sehen..' Between were other Brecht/Eisler pieces, some Art Bears songs and a lot of specially composed, or arranged material. Much of a second performance, at the Berliner Ensemble as part of the Music and Politics series, was released on the Re Quarterly Vol.2 No.2 and reissued on CD on The ReR Quarterly Collection Vol 2 (ReQCD2). Duck and Cover comes, of course, from the ridiculous precautionary slogan drilled into American schoolchildren who were told, in case of Nuclear attack, to duck under their desks and cover their heads. The organising principle behind this ensemble and its music was the Europe wide protest in 1983 at the siting of Cruise, Pershing and SS20 missiles. 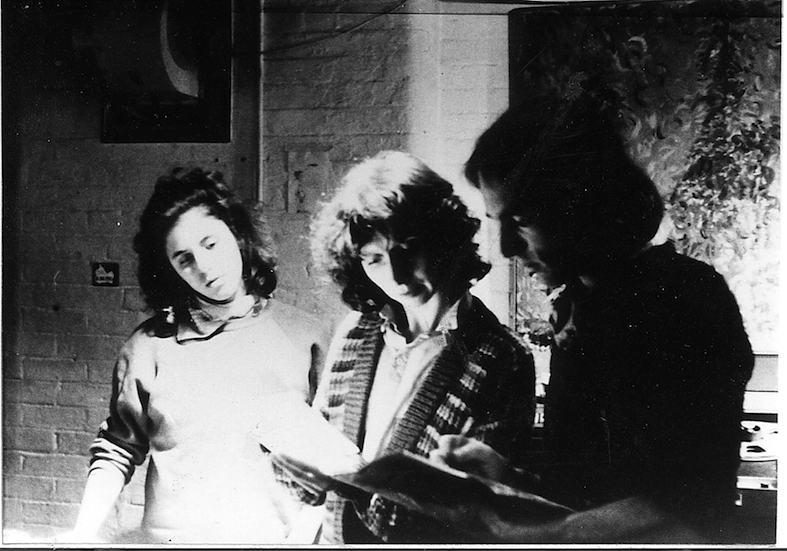 I was in Henry Cow when we met Stormy Six and joined their co-operative 'L'Orchestra' in 1975. They became one of the 5 original RIO members in 1978. Soon after, Stormy Six were playing at the Festival of Political Songs in East Berlin where they met the Goebbels/Harth duo (who were presenting their Eisler programme there at the Academy of Art). In 1982, Cassiber was formed (comprising Heiner Geobbels, Alfred Harth, Christoph Anders and myself). And two years later, Franco Fabbri invited three of us (Heiner, Alfred and myself) to join three of Stormy Six (Umberto Fiori, Pino Martini and himself) to present a public workshop and recording project as part of Hans Werner Henze's 1984 Montepulciano Cantiere Internazionale D'Arte (the following year, as a direct result of this project, I was invited back to co-ordinate a young musicians project there). The idea was that the six musicians would divide into all possible pairs (15) and each duo would prepare or improvise a 3 or 4 minute piece which would then be recorded to 8 track tape. These recordings were subsequently to be treated as raw material for the whole ensemble to work on, using overdubs, editing, composing and processing, the goal being to produce from each beginning a fully fashioned recorded composition. On the last day, we had to perform these compositions, and others, in the town square. The workshop took place in the open courtyard of an old Castello where we worked for a week on the fifteen pieces. The process and the final pieces were all recorded for subsequent broadcast by RAI 3, Italian Radio. 7 of the pieces later appeared on the Re Records Quarterly Vol No.3. and 5 were reissued on the ReR Quarterly Collection, Volume 1 CD collection (ReR QCD1). I first met Lindsay playing in Comus. I was working at the time on the first series of Ottowa concerts with Egg's Dave Stewart. Egg and Comus shared a bill the night I saw them. 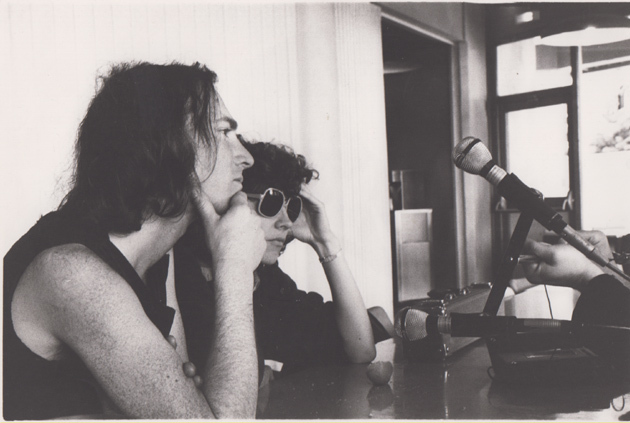 A few years later, with Fred Frith, I saw her again, this time in Ritual Theatre. I had recently joined Henry Cow and as I recall, an old friend of Henry Cow and Ottawa participant, Clive Bell was also in that group. When Geoff Leigh quit Henry Cow, we invited Lindsay to join us. She stayed until we disbanded in 1978. 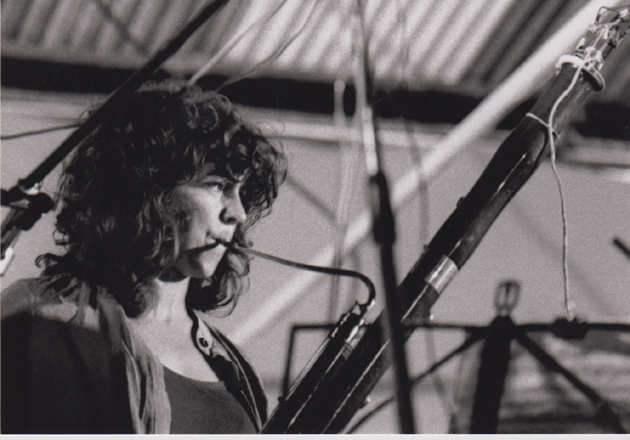 By 1982 she and I were working together again, this time with Zeena Parkins and Dagmar Krause in News from Babel. In between, I had played on a couple of her solo records (Rags and Music for Other Occasions). Soon after the first News From Babel record we were both playing together again, this time in a trio with David Thomas. This continued for many years with various bass-players coming and going. In 1985 Lindsay put a group together to perform her own film music: Lindsay Cooper's Music for Films with Sally Potter, Phil Minton, Vicky Aspinall, Georgie Born, Lindsay herself and me. 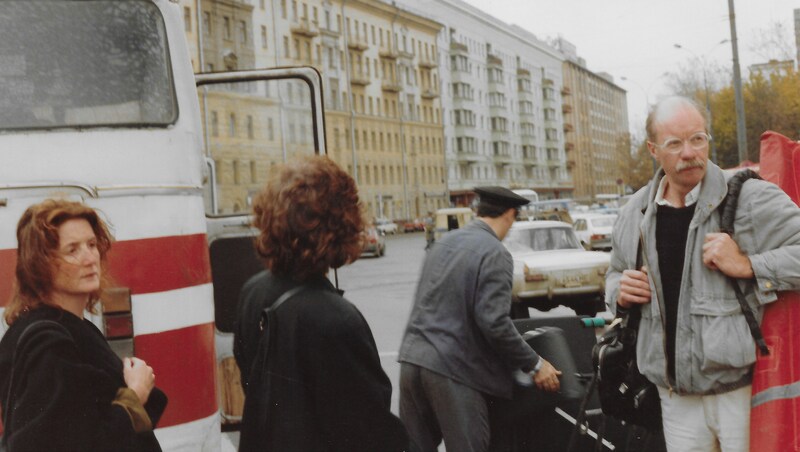 Many years later she asked me do some concerts with her Oh Moscow project, which I also played with the Orchestra of the Opera House, Bologna at the Angelica Festival in 1999, one of the last concerts Lindsay was able to attend. By this time the Multiple Sclerosis she had lived with for two decades becames so debilitating, she was unable any longer to work. She died, aged 62, On 18 September, 2013. In 2014 members of Henry Cow, News From Babel and Oh Moscow came together to perform 5 concerts of her music Italy and the UK. Since then a CD of her compositions, arranged for a large jazz ensemble, has been released by the Artchipel Orchestra, from Milan, and a mixed anglo-Japanese group formed by Yumi Hara in 2015, Half the Sky, has performed her compositions in Japan and Europe. DIDN'T HAVE A VERY GOOD TIME 7"
(A 12" EP released to raise money to support the Miner's during their epic strike, featuring a Henry Cow remix, work by Adrian Mitchell and two specially composed songs, one by Tim Hodgkinson and, the other by Lindsay and me, both sung by Robert Wyatt. I had been reading George Steiner's 'After Babel' (about translation) and I liked the idea of a record as a letter or a newscast from a doomed but hopeful place. Some of the songs were directly related to Steiner's books. This was a project initiated by Lindsay Cooper and Sally Potter. The original group was formed in 1987 with Sally Potter, Phil Minton, Hugh Hopper, Alfred Harth, Elvira Plenar and drummer Marilyn Mazur. Later Charles Hayward replaced Marilyn and in 1991 Lindsay asked me to sit in for him. I did the remaining concerts in London, Moscow and Volgagrad, and in 1999 also participated in an orchestral version, arranged by Veryan Weston, at the Bologna Opera House as part of that year's Angelica festival.